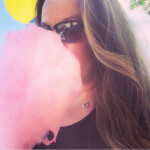 Planning to be in Toronto over the holidays? There are plenty of things to see and do in the city to keep everyone in the holiday spirit of togetherness, comfort and joy. 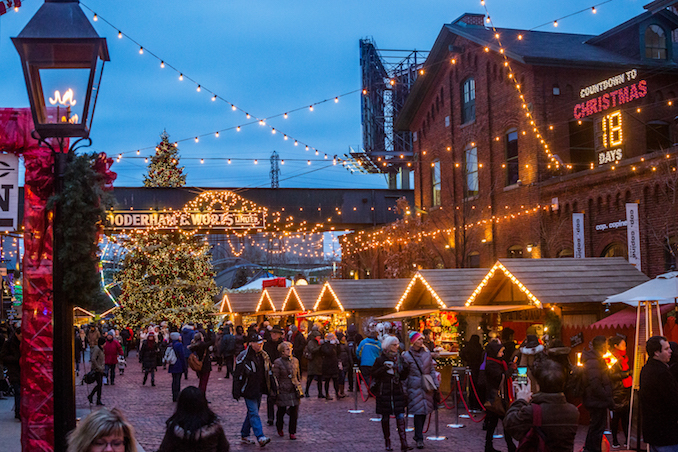 Toronto Christmas Market at the Distillery District until December 22. 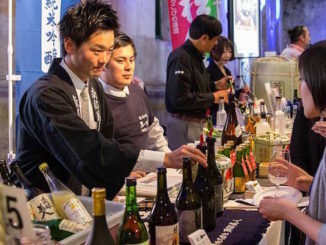 Now in its seventh year, the market has become one of Toronto’s most visited attraction. 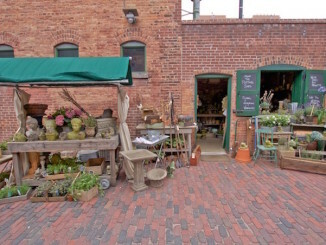 Cobblestone lanes are filled with everything for the holidays from artisan made goods to hot apple cider. Note Friday night and weekends admission price of $6. Other days are free admission. The proceed of sales go to future growth of the festival as well as to local charities. Check out the 12 Trees of Christmas: Good for the Earth at the Gardiner Museum up to January 8. 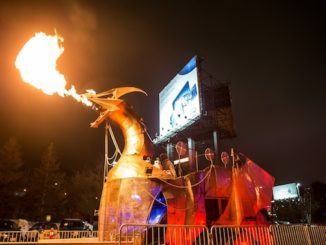 This year’s installations are made from natural, recycled, or sustainable materials and curated by David Buckland – artist and environmentalist. The trees bring awareness to environmental themes including commercialization of water to the declining bee population. Featured artists include Amelie Desjardins, Erin Lightfeather, Rodney Smith of Hermes Canada, Katherine Strang and Christine Dewancker, and more. 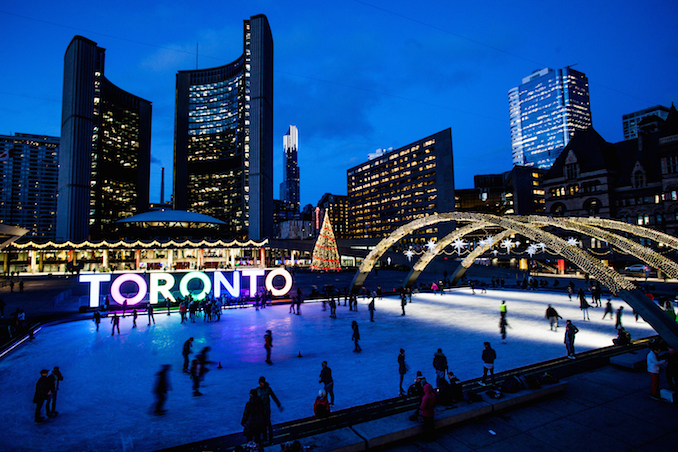 ROM for the Holidays: December 26 to January 8, celebrate the holidays and stay warm at the Royal Ontario Museum. Inspiring exhibitions now include Chihuly and the inspiring Wildlife Photographer of the Year. Drop-in for family friendly activities like decorating a holiday tree with origami creations, explore fire and ice from volcanic glass to examining polar bear skulls. Holiday windows at The Hudson’s Bay. A tradition of mine ever since I was a wee little one of pressing my nose against the windows and munching on roasted chestnuts but now the windows have been updated. 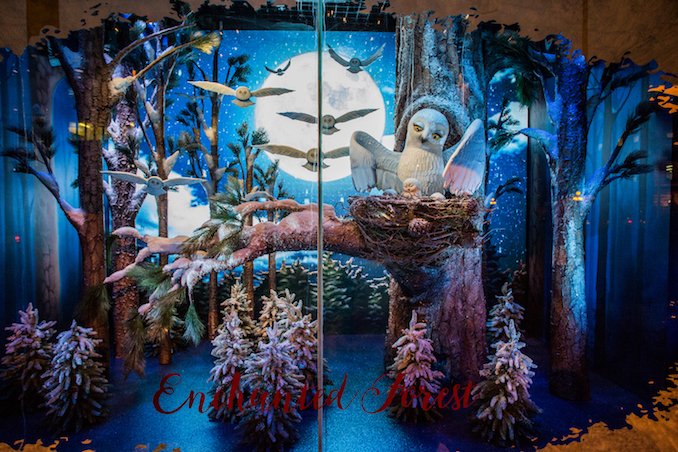 Today, the newly spruced up windows include majestic music along side the refreshed festive windows. Nutcracker Tea at the King Edward Hotel ($42+ per person) is a grand way to celebrate the season! This historic hotel’s holiday tea is set against the backdrop of a stunning lit up tree with all the traditions an English tea service. Reservations highly recommended. Union Station Holiday Market: until December 16. Got time to spare before your train arrives? Check out over 30 local artisans at this seasonal pop up market to pick up some unique gift items. Vendors include Lee’s Ghee, Lovebot, Papabubble, The Honest Leaf and more. Free admission. Santa Street on Inglewood Drive: The number of giant inflatable Santas on the front lawns in this neighbourhood seems to grow every year on “Kringlewood” or “Santawood”. One friendly elf told us that the official start this year is December 11th. Within the downtown core, many large Christmas trees have been st up and decorated. 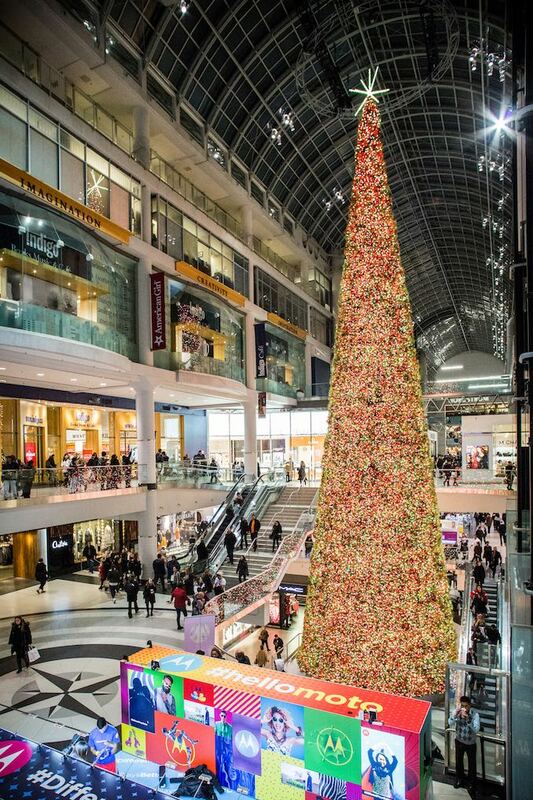 Some of the most notable ones include the Eaton Centre‘s 200ft. tree, the Distillery District‘s Christmas Market tree and the tree outside new City Hall in Nathan Philips Square. Be sure to check them out on your holiday tour of the city. Toronto Symphony Orchestra hosts the Messiah family performance not once but five times over the holidays! Acclaimed Baroque music specialists Nicholas McGegan leads the Orchestra along side vocalists. The Candy Cane Caroller’s Christmas Concert at Solar Stage Children’s Theatre, December 16. Tickets $17+. Bring the kids and sing-along to some of the season’s most familiar tunes. Sing-a-long Messiah at Massey Hall, December 18. Join other Messiah voices in this traditional winter sing-along event with the Tafelmusik Baroque Orchestra and Chamber Choir, and guest soloists. 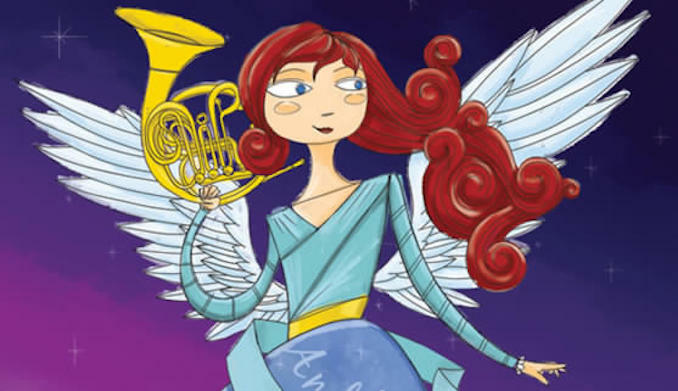 Music sheets available for sale at the event if you need…this is a full-on from start to finish event full of joy. Runs about 3 hours including intermission. Christmas Choral Concert at City Hall, December 23. 11:30 am. Free. Choirs performing include Toronto Beaches Children’s Chorus, All the King’s Voices, and Toronto Mass Choir. A Very Soulpepper Christmas, December 20, 2:00 pm and 7:30 pm. Jane Mallet Theatre, St. Lawrence Centre for the Arts. Tickets $25+. This family concert features many well-established musicians in the city. A Child’s Christmas with Toronto Children’s Choir, December 17, 2:00 pm. Roy Thomson Hall. Tickets: $35.50+. Over 300 young voices join the TCC Alumni Choir to perform seasonal favourites. Includes a special musical ready of Dylan Thomas’s A Child’s Christmas in Wales. Le Vent du Nord et De Temps Antan, December 18. Koerner Hall. Tickets $35+. A touch of holidays with traditional Quebecois music with the energy of a typical Saturday night kitchen party. Our friend, foodie, Youtube personality and all around great gal Rebecca Felgate is releasing a video every day leading up to Christmas. Watch her first video here and continue on her page. Don’t forget to subscribe!